Whatsapp is the very well known Messenger that every mobile user has in his mobile. Few years ago, Facebook was a sensation but now Whatsapp has spread the revolution in the field of communication. Everyone knows Mark Zuckerberg , who is the founder of Facebook and also owns the whatsapp . But Do you know Who was the founder of Whatsapp ? I bet most of the peoples do not know the answer of this question . The answer is Whatsapp was founded by Brian Acton and Jan Koum and then facebook bought it . 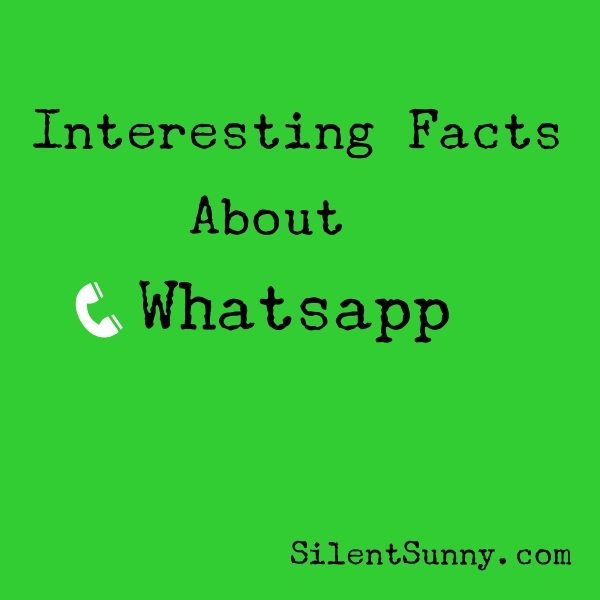 Lets know more Interesting Facts about the famous and most used Messenger Whatsapp . The name Whatsapp was given by Jan Koum from the term " WHAT'S UP " . He immediately chose the names as it sounded like " WHAT'S UP " . Brian Acton and Jan Koum in 2009 . Facebook finalised the deal on Valentine day and then bought after five days. Before Facebook ,Google offered tp pay $ 10 billion for Whatsapp . Whatsapp is Facebook's largest acquisitition ever. WhatsApp has serious Security Issues in 2011. WhatsApp has the most number of active users per engineer. As proved by Facebook,Whatsapp is worth more than the entire budget of NASA . There are 55 employees who are working in Whatsapp. Whatsapp is available in 32 languages in all the top mobile phones . Whatsapp is the # 1 messaging app service. Whatsapp was bought by Mark Zuckerberg after two years of informal talking with the Brian Acton and Jan koum . This was the Biggest ever Internet deal . Before selling Whatsapp, Brain Acton applied for a job in Facebook which was denied by Facebook . In January 2015 , Whatsapp launched web client of whatsapp which allows users to use the app on computers ( By using Bluestack ). WhatsApp earns money by charging subscription fee . As of January 2015, 30 billion messages were sent and received daily . 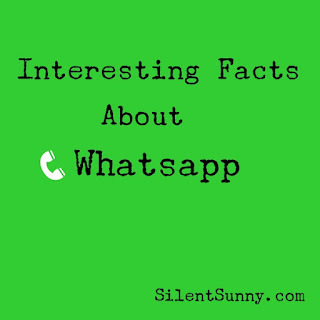 As of April 2015 , WhatsApp has more than 800 active users which is the highest users on any mobile messenger . In April 2015 , Forbes predicted that telecom companies will lose about $ 386 billion between 2012 -18 due to messaging services like whatsapp etc. There are more than 200 million voice notesget shared on whatsapp daily. A Single user spent avg . time of 195 mins. per week on whatsapp . Everyday , More than 1 million users get registered on whatsapp . Everyday , More than 700 pictures are shared on whatsapp . India has the largest number of active users on whatsapp . India has 70 million active users. 72 % of the users check their whatsapp everyday . 27 % of the selfies on the internet are due to whatsapp . 84 % of the mobile users in Argentina uses Whatsapp. 31 % of social messaging users in Ireland uses Whatsapp. 40 % Italian uses Whatsapp . 8 % US teens (14-17) uses Whatsapp daily. The average user checks whatsapp 23 times daily. An average user sends more than 1000 messages on the whatsapp per month. More than one million video messages are shared daily on whatsapp. Whatsapp had security issues in 2011 . In January 2012 , Whatsapp was removed from iOS due to some reasons but then re-added four days later. In MAY 2014 , Whatsapp was removed from windows store due to technical difficulties but re-added later . Share these amazing facts with your friends.